We are very thankful for those that contribute and sponsor the Route 66 10K. Thanks to our sponsors we are able to provide the best race possible. Local support contributes greatly in creating a successful event for all involved. In return, we strive to offer a great marketing opportunity for your business/organization by advertising it as a sponsor of our growing event. Available levels of support allow visibility of your business name and/or logo on race shirts, race applications, race posters, by level on our club website, and even signage along the course! 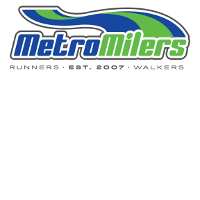 Additionally, our supporters may be highlighted in profile emails to race participants and volunteers, and recognized at the awards ceremony race day. The following page outlines our ‘cruiser’ classes of sponsorship levels. Please, feel free to contact us if an alternative advertising campaign may be more appropriate for your organization. Your sponsorship will allow you to reach hundreds of consumers in the St. Louis Metro area. We have 4 levels of sponsorship. In 2015 we started incorporating sponsors into our Wednesday Night Weekly Cruises (i.e., training runs on the race course). In 2018 we will continue this tradition; we will work to identify a Wednesday evening for interested sponsors. If you have any questions, do not hesitate to contact us. We thank you for your time and consideration.